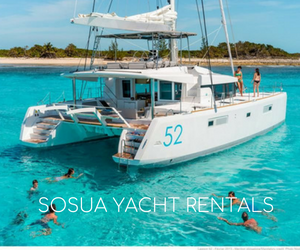 Sosua is one of the hottest areas for real estate investments in the Dominican Republic, and this has been a constant factor because of the demand for vacation homes, condos and other beach and oceanfront real estate property. Tourism is the main factor that drives demand to the Puerto Plata, Sosua and Cabarete area, also to Cofresi and Cabrera. Buying real estate in Sosua is fairly simple because local Dominican laws allow foreigners to purchase real estate with the same rights as native citizens. A good lawyer is appointed and the whole process can take 10-30 days depending on each individual case. For most foreigners, it is better to buy within gated communities where security, cleaning, power and other services such as swimming pool cleaning are conveniently available for a monthly fee. Also, the investment can return dividends because a high percentage of buyers place their villas and condos in the rental pool while they`re away traveling, saving on maintenance costs and making a profit. The real estate industry in Sosua not only offers condos and homes, but also has a thriving catalog of businesses for sale. In such a tourist area it translates to bars, restaurants, discos, clubs, hotels, small B&B`s lodges and other tourism-related businesses. The coast along Sosua`s ocean shores has many luxury condo buildings, which for many are a must buy for their retirement living or just as their vacation retreat. Real estate for sale in Sosua, Cabarete, Cofresi, Cabrera and Puerto Plata. A selection of oceanfront villas in the Dominican Republic.